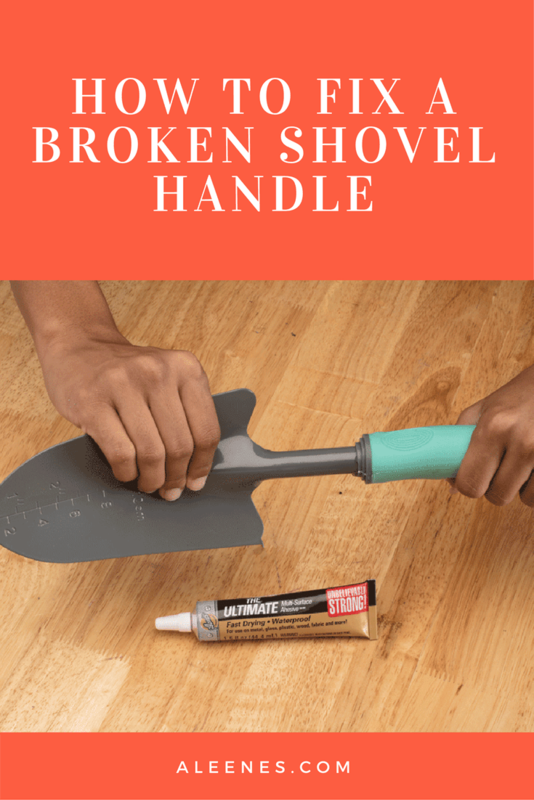 Gardening is your THING, so when the handle breaks on your trusty shovel or spade, it’s an ordeal. 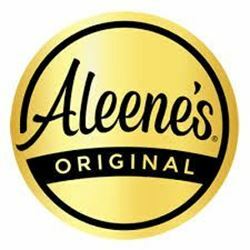 Before you panic or drop everything and run to the hardware store, grab a tubeof Aleene’s The Ultimate Multi-Surface Adhesive and repair that broken shovel handle in time to finish your gardening project. 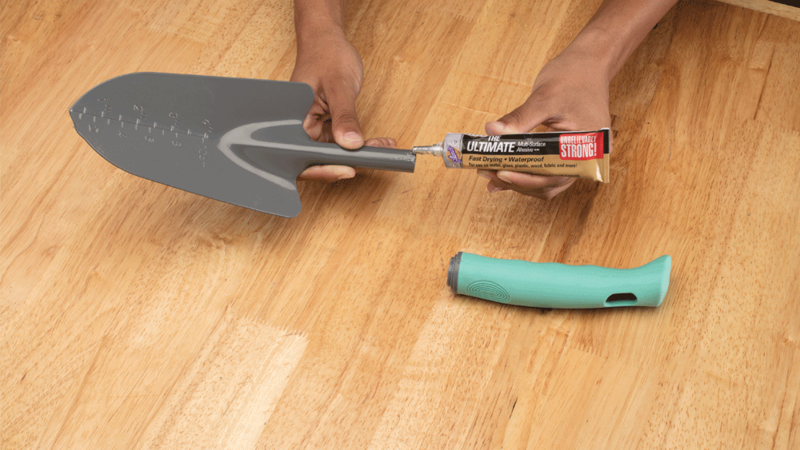 If needed, use sandpaper to reshape the end of the handle to securely fit inside the shovel head. 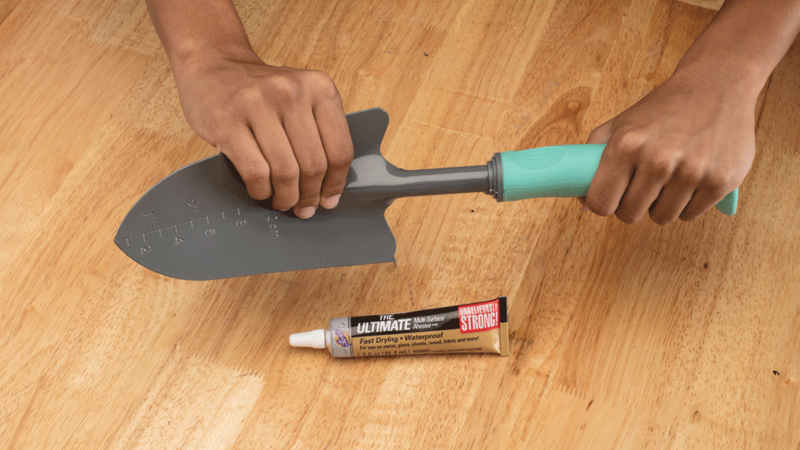 Apply The Ultimate glue to the portion of the tool head that attaches to the handle. 4. For a maximum-strength bond, allow 24 hours for cure time. We suggest waiting at least a few days before using the tool again. Your shovel should work good as new, and you can get back to making your garden look gorgeous.